Welcome to the newest development of Rockwell Land-the first seed planted in 29 hectares of prime residential land along C-5, near Pasig, Ortigas Avenue. Rockwell Land's latest project "The Grove" will have six mid-rise residential towers offering flat and loft units on a vast 5.4 has property. The Grove's concept of living invites you to a "New Urbanism Environment" which is pedestrian friendly, with 75% dedicated to open lush greeneries and water features. The Grove is a sprawling, 5.4 residential area near Ortigas Avenue, across Tiendesitas that will form a gorgeous skyline across the city once built. To liven up the functional open spaces and to add warm cosmopolitan touches to the tower, Dallas-based architect Don Wilder and world-class landscape artist Karl Princic are creating secluded pocket gardens, winding trails, and landscapes that will give you the illusion of being far away from the city. Location: in front of Tiendesitas along C5 Road close to Ortigas Avenue. 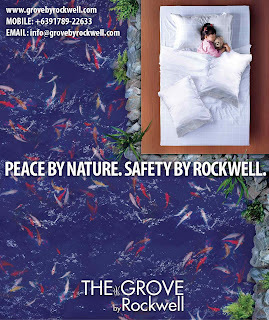 The Grove by Rockwell is an emerging community in Ortigas. All residential spaces are designed to deliver utmost luxury and comfort in living in true Rockwell style. The Grove by Rockwell is an expansive development, highlighting the majesty of greenery in the middle of the metropolis. It offers city dwellers a sanctuary to live and play in a virtual oasis where lush gardens and beautiful landscapes prevail. 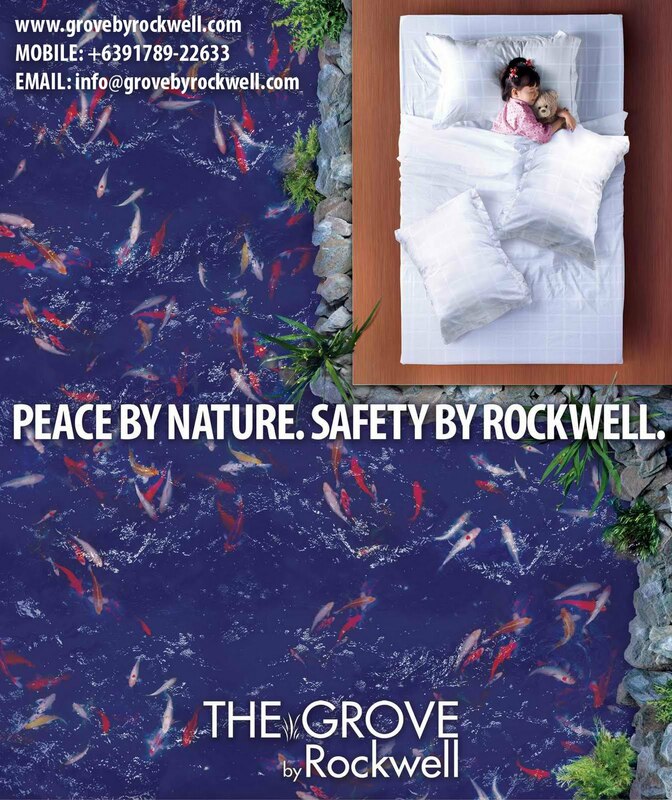 The Grove by Rockwell brings nature into the lives of the residents by making gardens natural extensions of every home. Its yet unmatched 75:25 landscape to building ratio allows the development to embrace nature, without sacrificing the comforts of a modern, urban life.